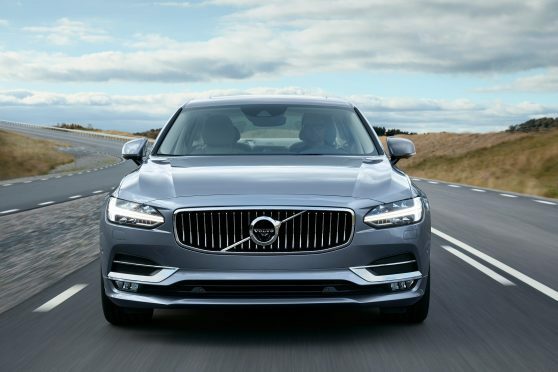 Has Volvo finally cracked the full-sized executive sector? Volvo has never really cracked the full-sized executive sector but this S90 model looks a more promising contender. 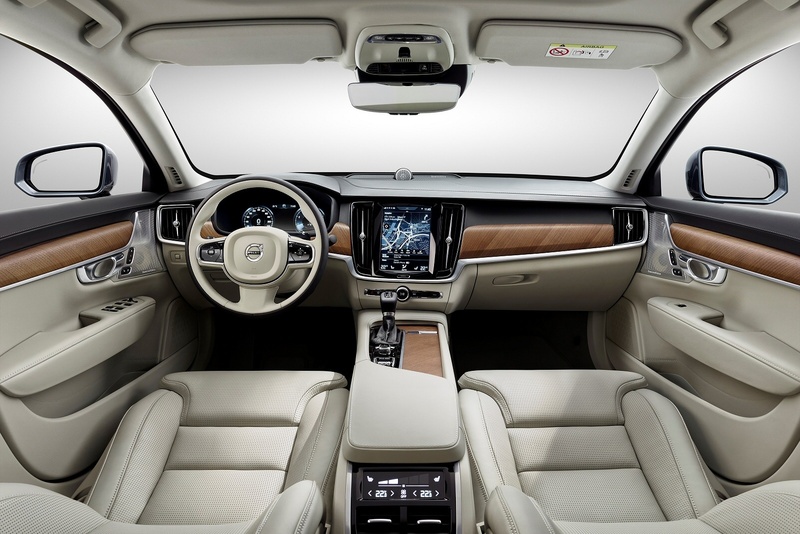 Based on the platform architecture of the brand’s second generation XC90 SUV, it aims to tempt company customers with what Volvo describes as ‘elegant and functional’ appeal. If you’re thinking of buying a full-sized executive car, then you’re probably thinking of a BMW 5 Series, an Audi A6 or a Mercedes E-Class. Other brands have tried and failed to upset German dominance in this segment, Volvo being one of them. The Swedish maker’s old S80 never managed to make much of an impact here – but then that was a car from a different era of Volvo ownership. These days, the Gothenburg marque has huge Chinese investment to drive it forward and the result is a much stronger range of products – cars in fact like this one. Volvo itself reckons that this S90 (and its V90 estate counterpart) represent even more of a step forward than the second-generation XC90 SUV did – and that car was a seismic step forward for the company. The prospects then, are promising. Because this S90 uses the same ‘scalable product architecture’ as its XC90 SUV stablemate, it also uses many of the same engines too. One change though is the availability of a smaller diesel than you can get in the XC90 – the 187bhp D4 unit borrowed from Volvo’s smaller S60 and V60 models. Next up is a 231bhp D5 twin turbodiesel, also with 2.0-litres and four cylinders, another member of the company’s efficient Drive-E engine family. D5 models come with AWD. All S90s come only with smooth eight-speed auto transmission. At the top of the range lies a T8 Twin Engine petrol/electric plug-in hybrid model. This delivers a combined 406bhp output, with a thumping 472lb/ft of torque. 62mph from rest is dispatched in under six seconds. This is certainly a more credible full-sized executive saloon than anything Volvo has brought us to date. 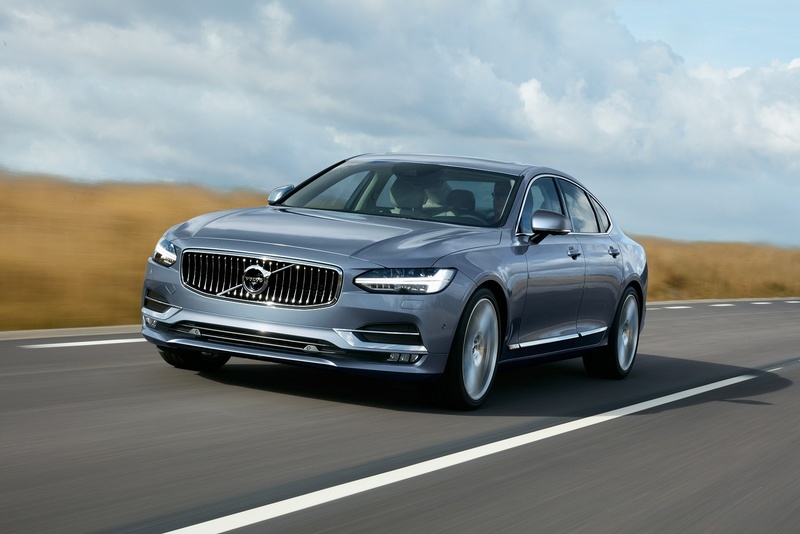 The S90 has a proud yet non-aggressive face, characterised by a concave grille – apparently a homage to the Volvo P1800 – that’s home to the brand’s distinctive Iron Mark logo. The T-shaped Thor’s Hammer lights are recognisable from the XC90 and deliver a powerful sense of direction that makes this car unmistakable on the road. Step inside an S90 and if you’ve previously tried the brand’s second-generation XC90 model, it’ll all be pretty familiar, though a difference lies with smart air blades that stand vertically on each side of the Sensus user interface. This massive tablet-like touchscreen control plays a key role in creating an interior that is modern, spacious and uncluttered. 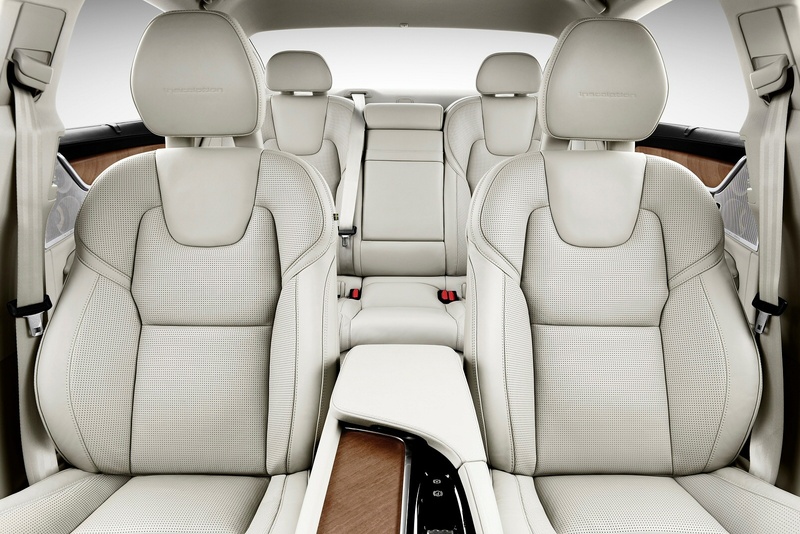 Volvo’s clearly put a lot of budget into driving up materials quality and this XC90 gets soft leather and wood with handcrafted details, including diamond-cut controls for the start/stop button and volume control. The boot’s huge but if that’s not enough, then the brand is also offered as a spacious V90 estate version of this design. Prices start at around £32,500 for the entry-level D4 diesel manual model. Figures elsewhere in the range swell up towards the £45,000 mark, as you’d expect from a car in this class aiming to go up alongside full-sized executive segment rivals like BMW’s 5 Series, Audi’s A6, Mercedes’ E-Class, Jaguar’s XF and the Lexus GS. Top models can be ordered with features like 21-inch alloy wheels and powered, heated and ventilated seats trimmed in Nappa leather. Inside, the tablet-like touchscreen in the centre console drives the minor controls and a whole host of internet-based products and services. Audio services in the plushest variants come courtesy of a monster Bowers & Wilkins stereo. The electronically controlled air suspension has a choice of five modes, including one where the driver is free to tailor the settings to his or her personal taste. Another system is the auto-braking feature, which cuts in if a driver pulls out in front of on coming traffic. Plus the S90 also introduces a world-first – large animal detection – a system capable of detecting large animals such as elk, horses or moose, night or day. All these safety systems aim to bring Volvo closer to its vision of nobody being seriously injured or killed in any of its vehicles by 2020. With the D5 diesel most S90 buyers will choose, expect 58.9mpg on the combined cycle and 127g/km of CO2. If you want to do better, you’ll need to look at the lesser-powered D4 diesel version, which can emit 116g/km and manages a combined cycle showing of 64.2mpg. At the top of the range, the figures for the T8 Twin Engine petrol plug-in hybrid model are eye-catching. This derivative delivers just 44g/km of CO2 and up to 26 miles of pure electric driving range. Depreciation will be a key consideration for potential owners. It’ll be interesting to see how the market responds to Volvo’s new direction in style and quality here. Think in terms of RVs that are comparable with a brand like Lexus in this segment and you shouldn’t be too far out. Don’t expect Volvo to go threatening Audi, BMW and Mercedes sales volumes overnight with this car: it won’t be imported in those kinds of numbers anyway. A more realistic objective though for this S90 will be to slot in behind Jaguar’s XF as a ‘best of the rest’ contender in this segment. That’s no bad place to be. 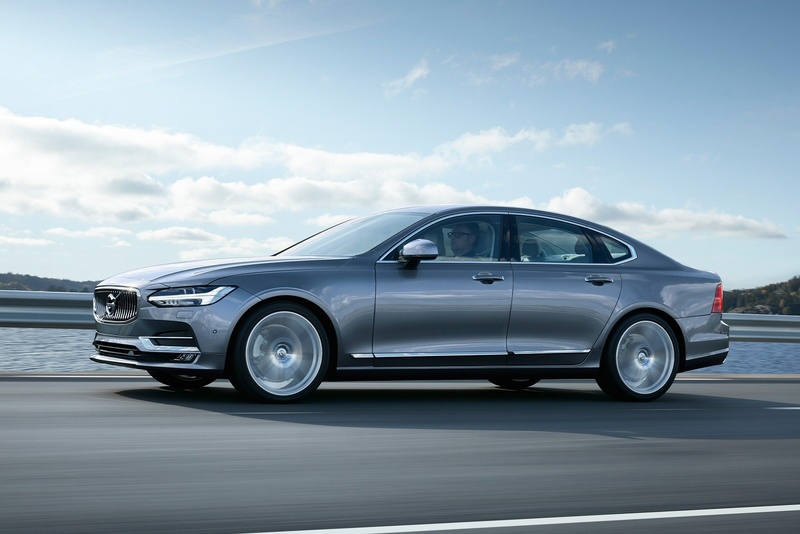 A growing number of thoughtful executives are looking for something more interesting as their next management level company car and this S90 is well worth a test drive for those of that mindset. It certainly gives this Swedish brand a much stronger offering than it’s ever had before in this sector.